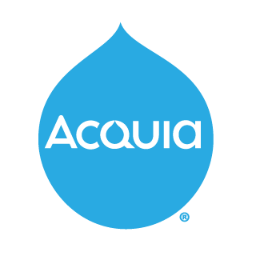 Founded in 2007, Acquia provides cloud based solutions to create and maintain web experiences using Drupal WCMS. Acquia Cloud is a continuous delivery cloud platform optimized to run Drupal websites. The end-to-end platform-as-a-service provides everything needed to create, maintain, and optimize high-quality Drupal websites. Acquia Cloud Site Factory is a multiple site management platform that empowers marketers to create, deploy, and manage hundreds of media-rich sites fast. With an intuitive sitemanagement toolset, users can rapidly create materials that deliver engaging digital experiences. Acquia Commerce Manager provides a secure method for connecting a Drupal website to your commerce platform, which enables you to provide the products and services that your customers need. With this integration, you can more effectively enhance your online product pages and catalogs, and embed a shopping experience into your branded content and media. Acquia Lift collects and centralizes data from a variety of existing marketing technologies and channels, including websites, email marketing platforms, marketing automation tools, social platforms, mobile apps, call center transactions, and third-party and offline data sources. Lift progressively builds upon this rich profile in real time with every customer action. The Acquia Platform offers a secure platform-as-a-service cloud environment for the Drupal web content management system, advanced multi-site management, powerful developer tools, and software-as-a-service capabilities for personalization, content syndication, and more. The Acquia Platform components are built with an API-first approach to make it easy to tailor the solution to your organization's specific needs and environment.